e my 5 and 2 year old to various Seattle places while mom gets going hither and thither. All of which leads to Ed. Today, Ed continued our ongoing conversation by proposing Nissan's Cube to me. When you look at the import, it's hard not to notice the asymmetrical rear window which wraps around the passenger side of the car. The website claims: "symmetry is so last year." I'm undecided on the design choice, but it led to a great conversation with Ed about nature, symmetry, balance, and perception. Here's the gist of it. Ed claimed that nature is not symmetrical. He recalled going for a hike to the top of a mountain in San Diego in which he looked out over the majesty of the area and found the view interrupted by the straight lines and right angles of a casino. This was indicative to him of the great truth that nature is asymmetrical. I tried to argue with him. Poor architecture, more than a solid proof point. I pointed out the cyclical nature of seasons, of day following night following day, and of an annual trip we all take once around the sun. Like clockwork. But Ed raised the counterpoint that those were examples of balance, not symmetry. Symmetry is roughly defined as: the quality of being made up of exactly similar parts facing each other or around an axis. So, he had me there. True symmetry, he pointed out, is creepy to look at. I recall hearing once that symmetry in faces is actually what draws us to them. It's why Denzel is "Denzel", a People magazine most beautiful person and Forrest Whitaker is simply a brilliant actor. (the audacity! simply a brilliant Oscar winning actor - my apologies, Mr. Whitaker). I looked at some facial symmetry fun, but then did my own experiments using Photo Booth. It wasn't horrible, but I can se how it isn't quite the state of "perfection" we think of. So, I changed my hypothesis because I could see that Ed was going to be all "science-y" and to the letter about this. The new hypothesis was that any conclusions about symmetry in nature must take into account the human propensity to see symmetry where there is asymmetry. Let's call it "Perceived Symmetry". We, as humans, are attracted most to the things we perceive as symmetrical. It's natural to do so. It explains the beauty of snowflakes, butterfly wings, the majesty of Mt. Rainier. It also explains a lot of artistic and creative design choices. 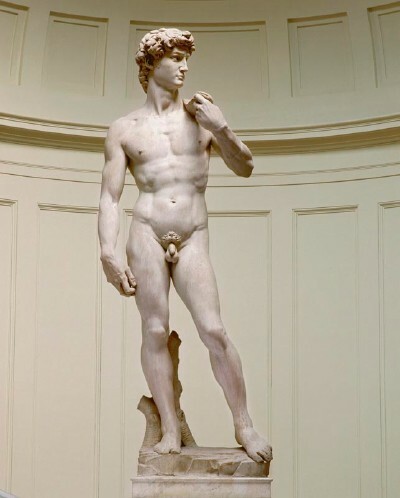 If we didn't perceive Michelangelo's David to be symmetrical, we might not be quite as fascinated by his beauty. 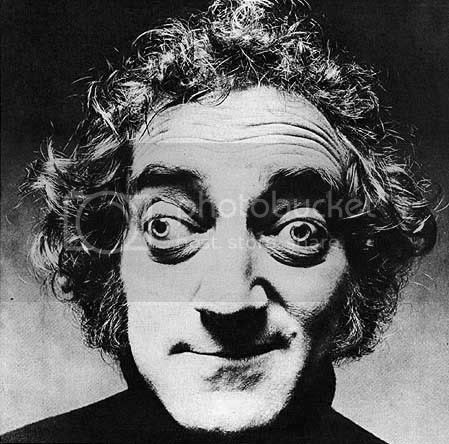 Imagine David with a scrawny arm, or eyes like Marty Feldman. You can't because it ruins the perfection we associate with that work. The glorious iPhone is shaped to symmetric delight, as are most of Apple's award-winning designs. Even looking around my desk, the lovelier items are designed with a sense of symmetry. SIGG water bottle, Swingline stapler, desk lamp. The point here is that to make a design choice which is asymmetrical is one that can be used very effectively. But I believe it is counter-natural. Meaning, beauty is typically found in perceived symmetry. However, what what would Marilyn Monroe's beautiful face be without that amazing mole on her lower left cheek? Or Van Gogh's single white iris in a field of blue. As Ed points out, "artificial things often become endearing in their asymmetry because they become less intimidating." A slight imperfection here or there gives something a touch of character, shows that there really is no such thing as perfection (as that's a subjective measure), and makes the object (or person) more human through its quality of being juuuuust off. And here, I'm thinking of the beautiful design of Karim Rashid's Yum Bowl, amongst others. So, where are we left after all this? Without conclusion, I'm afraid, but with an interesting consideration of the notion of perception, and the unsatisfying concession that beauty truly is in the eye of the beholder. Even in a rear windshield. Far be it from me to pronounce myself as any sort of comic genius. I am reminded of Eugene Levy's Dr. Pearl from Guffman who professed not being the class clown, but sitting next to him. And studying him. So take my critique and analysis with a grain of salt. oreographer might have helped the end result. 1) Broad, self-aware slapstick comedy will never lead to laughter. 2) Comedy is hard. It is an art form that aught to be respected on the level of intense drama. First part first. Think about Will Ferrell. I know, the last thing he needs is promotion. 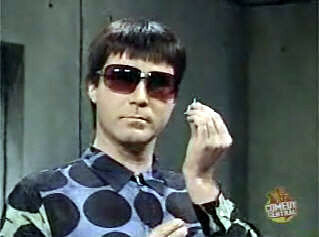 But he's widely considered one of the funnier people in the universe. He excels at both nuanced, life-or-death stakes realism as well as ridiculously over the top, fully-committed humor. When the men enters a room in an electric wheelchair and opens a 2-inch cell phone, he just enters the reality of that physicality. The women in the Greed spot look like they've been told not to worry about what it all means, just roll on the floor and try to grab the perfume bottle. What surprises me is that both Portman and Williams have proven themselves to be gifted nuanced actors. And I wish I'd had the chance to see something more carefully performed, which I hypothesize, would have ended up significantly more biting and halfway amusing. Which leads me to the second point. There's a reason some "comedy" stars are bankable. It's that they're funny and they're aware that comedy takes work. They know timing, commitment, delivery, and subtlety can make or break a moment. Which is interesting. Because I'll bet if you asked Steve Carrell and Ralph Fiennes how to make a single moment work they'd have similar answers. I'm just saying, being put in a wacky situation and making some faces doesn't make something funny in the same way that asking Jack Black to play the priest in Doubt would have probably have been the undoing of that movie (please see: King Kong). I guess the bottom line is I think much as we'd like to believe that making people laugh is as easy as having a clever idea. But it's hard work that requires a good amount of talent and understanding of process. And it does help to just be funny.